Very large doses of the leaves may cause diarrhoea, nausea and vomiting. „The characteristic bitter principle (Ph.Eur. min. 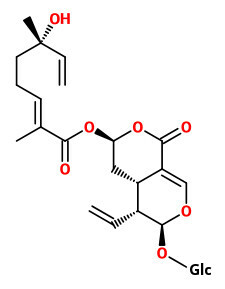 bitterness value 3000) are dimeric secoiridoid glucosides. 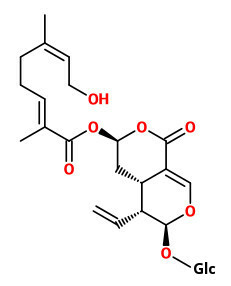 A monoterpene acid derived from nerol is linked to the secoiridoid skeleton like in dihydrofoliamenthin, the main component of the leaves.“ In menthiafolin, a monoterpene acid derived from linalool is linked to the sweroside part.